This is a new, fully illustrated adaption of The Invisible Child, one of Tove Jansson’s most beloved stories. In a cold autumn evening, Too-ticki stops by the Moominhouse together with an invisible girl called Ninny. She has become invisible because someone has been very mean to her. 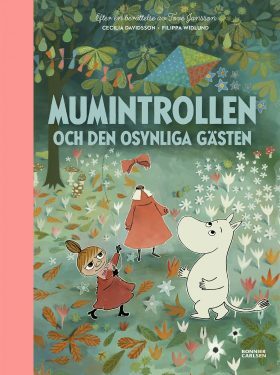 The Moomin family invites Ninny to stay with them to help her, and that autumn both she and the family learn about respect, kindness, equality and the importance of sometimes getting really angry.